At age 11, an average child is usually busy with school, tuitions, playtime and basically just learning new things. But the 11-year-old Aadish Cheruku is no average child. 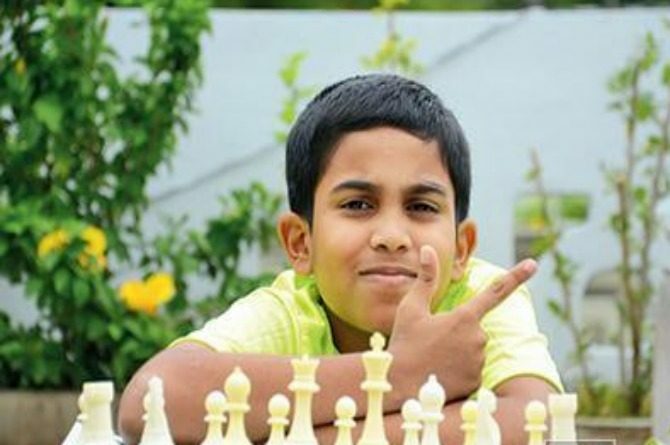 A resident of Hyderabad, Cheruku was among 15 children from across the globe selected to compete in the chess category at the World Children's Winners Games held in Moscow. These games are held only for children who have fought life threatening diseases. Although he missed the bronze medal by a close margin, it's his personal story that makes him a real hero. Cheruku is reportedly a former cancer survivor. He was diagnosed with Acute Lymphoplastic Leukaemia when he was just five. The 11-year-old boy wonder, underwent chemotherapy and radiation. His condition was so serious that he had to spend nine months in isolation in a hospital. And while prayers and medicines were hard at work, it was his will and persistence that helped him emerge cancer free. Speaking to The Times of India, his mother Nagalakshmi recalls, "We couldn't come to terms with Aadish's condition initially. But he showed positivity. It is that fighting spirit in him that saw us through." Interestingly, Cheruku had been playing chess to pass his time during his time at the hospital. He was in fact, introduced to a professional coach only two years ago. In his interview Cheruku fondly spoke of his recent tournament. "It was a nice experience to go another country and compete with my counterparts from across the globe. The match was close one," he said. While for his father, this tournament was an opportunity for his son who has mostly quarantined himself. "He did not have any sort of interaction with his peers when he was fighting leukaemia. The only connection he had with the world outside was with his mother, who had to wear gloves and a protective suit whenever she went in. But he prevailed," recalls Ch Venkatesh. Along with his family, Cheruku's coach also believes that the boy has an "immaculate eye" and will go very far if he continues to practice. Cheruku is one of the many young children who are fighting terminal illnesses. But more than the kids, it is the parents who are fighting against all odds to save and protect their kids. If you are also one of those brave parents then here are a few tips by cancer.net you can do to keep their and your own morale high. Advocate for your child to ensure that pain and other symptoms are quickly treated. All these are ways in which you can help your child continue to experience the joys of childhood. This LADY is the reason why Aamir Khan attended an awards show after 16 years! A 10-month-old was beaten at a Mumbai daycare and the internet started blaming the mother!